19-21 Dawes Ave Pittsfield, MA 01201 / iBerkshires.com - The Berkshires online guide to events, news and Berkshire County community information. 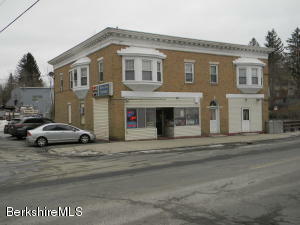 Commercial property for sale which includes an established Variety Store in a busy neighborhood, with 4 apartments. Each apartment has 2 bedrooms. All apartments occupied. All equipment,and inventory included. Distributor equipment not included.